Santos Rolon Jr. Stockton Ca. The truth is you don’t have to believe the lie. Your truth is you can believe in yourself. Will you begin to work on convincing yourself that you’re able to break through? Do you believe that just by speaking to yourself differently or watching my videos and using your journal, you can break free from this problem gambling habit? 3. Motivation & Much More! 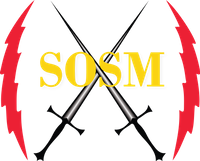 1 hour sessions, weekly, or Monthly sessions Go to https://Soldiersofselfmastery.com/coaching If You need specialized coaching in technology Cephas my partner can assist you there as well as other personal areas of interest. Thank you very much for sharing this video. Thank you for giving me a thumbs up! And always remember to leave a comment. How To WIN The fight inside Your Head!! How YOU Will Win Over Your Battle! Santos Rolon Jr. Stockton CA A.k.a. soldier of self mastery. Philosopher of every day victorious living. Dreamer, Overcomer. Well here we are back again talking about the same stuff in a different way. Thank you for joining me and for giving yourself permission to better yourself. These next 10 minutes will make a difference in your life. What talking about winning over the battles that are taking place in our life. Which are currently happening before they are evidently seen in our minds. Your mind is your battle zone and that is where you train, Fight and either win or lose. Of course we always want to win nobody in their right mind wants to lose. But yet we do things all the time that are contrary to winning?? My friend nothing is going to happen in your life as you make something happen. These battles that you are finding are not going to be one if you don’t prepare for them. And why would you want to prepare for them because there’s an incentive, there’s a goal a Destiination something that you definitely want to see happen or achieve in your life. Your incentive has to be big and it has to be something that you want something that you truly believe that you must have in order to make it happen. Yes you can, yes you can never give up on yourself never look down. Always look up train your brain for success because you can! (#2)4 SIMPLE KEYS That ensure YOUR Business SUCCESS! Coaching is Available via Appointment. 5. Invest and Invest in You!! Watch Videos Make Sure To Check Out My Playlists! Stephen Covey, Wayne Dyer, John Maxwell. And there’s many others that you can find. Start your own journal and lastly I offer many other rituals that you could be doing to help yourself all you Gotta do is just check out soldiers of self mastery right here. Santos Rolon Jr a.k.a. soldier of self mastery, your philosopher for every day victorious living right out of Stockton California at your service. I offer consulting, I offer coaching, help you get free today. Subscribe, share, comment and like. Thank you This short video is actually your invitation to a video that’s going to help you get insight get motivated and learn what it really takes to become successful business, you have to start somewhere and you have to continue to build momentum until you begin to see the results of the seeds that you planted. What Do You Really Want? IF Its NOT Working LISTEN To What I share With You!! Santos Rolon Jr a.k.a. soldier self mastery, philosopher of every day victorious living, at your service right out of Stockton California. Today I just feel inspired to share a motivational inspirational message to get you thinking about where you want to go before 2018. Going to talk just a little bit about your focus vision R.A.S. Reticular activating system, the part of your brain that begins to attract the things or actually you begin to notice more of the things that are going to be important for you as you go forward to achieve your goal or your dream. I’m not an expert at RAS but I do know that it does make a difference once you begin the totally focus. And making a contract with yourself by reinforcing the decision that you make to commit to whatever it is it you want to achieve in your life, you can do you can be whatever it is that you want, it’s a process it’s a fun discipline and a challenge. You grow you go forward and you live out every single day to the best of your ability. You learn you put into practice believe you grow in confidence. Your friend, Santos Rolon Jr, happy new year 2018.